Every year, we name our favorite Wedding of the Year. In the past, they have ranged from simple weddings, to DIY, elaborate celebrations, with 20+ junior bridesmaids, 2nd time weddings and renewals. It gets harder for us each year, it truly does, to name just one WEDDING OF THE YEAR. 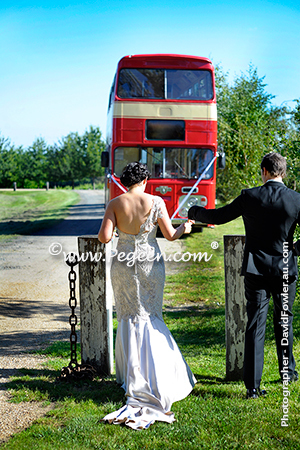 The photographers are spectacular, the creativity and the thought in each wedding is simply overwhelming, and more than anything, the beauty of the event itself and the special meaning to each couple touches our heart every time. The entries this year absolutely were some of the best we have seen since we started doing this 7 years ago. Through out this year, we will be highlighting other weddings that didn’t quite make it into the finals but we will feature them as if they too were weddings of the year, because they truly were. However, of the 4200 entries this year, we decided that each of the following weddings were special in their own way. So once again this year, we decided to name all four weddings as our favorite. 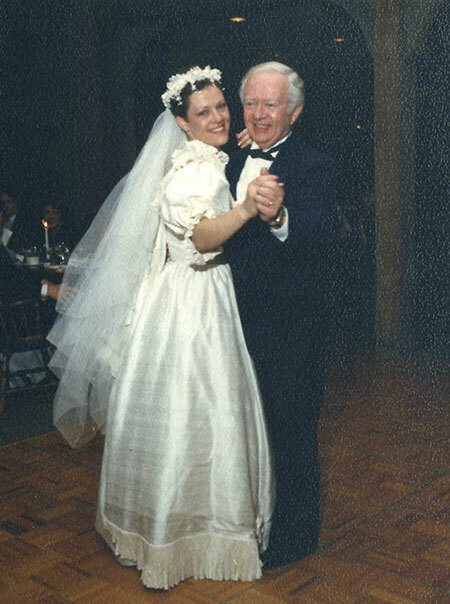 Each of these weddings will be featured during this week, in celebration of our 33rd Year of Business! Juliet and Joe come from the professional skating world. Juliet, from the ice show and Joe, a retired NFH Hockey player. (Note to self: my husband is gonna love this wedding!) When Juliet approached me for her wedding she wanted something very special for her daughter. We chose the Sapphire Fairy dress from the Fairytale Collection, Style 902 in White with a Pink Monogram exactly as the couple’s monogram. 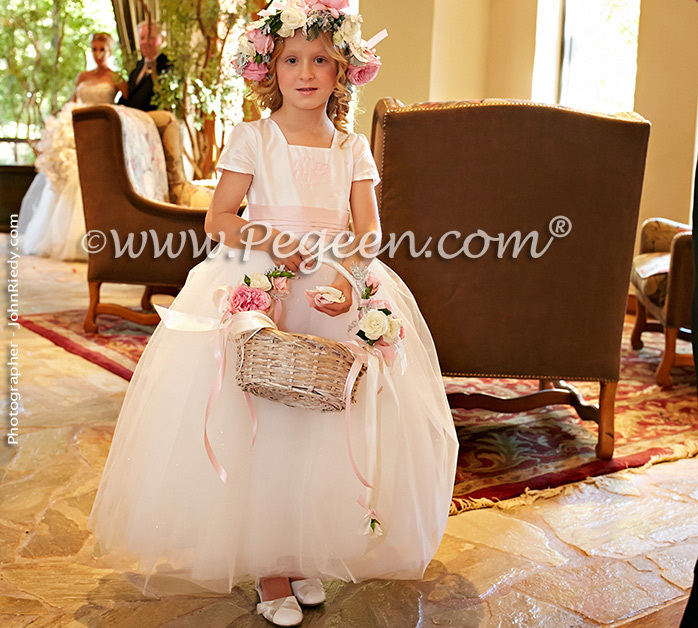 For the wedding she chose Flower Girl Dress Style 902 from the PEGEEN FAIRYTALE COLLECTION – the Sapphire Fairy. Dress was in 100% silk in a color called Antique White. Juliet chose the monogram for the front of the dress to match the couples monogram. Dress is covered with 10 layers of tulle and topped of with a layer of crystal tulle and dew drop tulle. 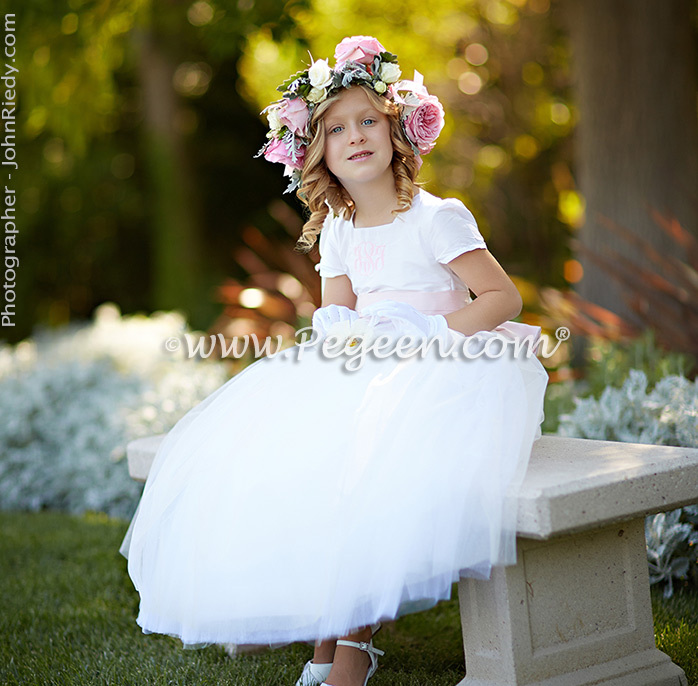 Flower Girl Dress Style 902 FAIRYTALE COLLECTION – Sapphire is part of the Fairy Tale Collection, 10 layers of tulle in multiple colors in pale shades of blue, cover.ed with a sparkle tulle, dew drop tulle, special monogram on the bodice with square neck. Dress is named after our favorite blue jewel, this dress is shown in cloud and blueberry, but blue colors available, others on request to designer. Mother of pearl button closure. At the waist is a huge pre-tied bustle and Cinderella bow. All of our skirt lengths are ballet length, meaning just three or four inches above the ankle which can be customized. Includes short sleeves or sleeveless tank, other options available such as longer sleeves or flowers at a slightly higher price. 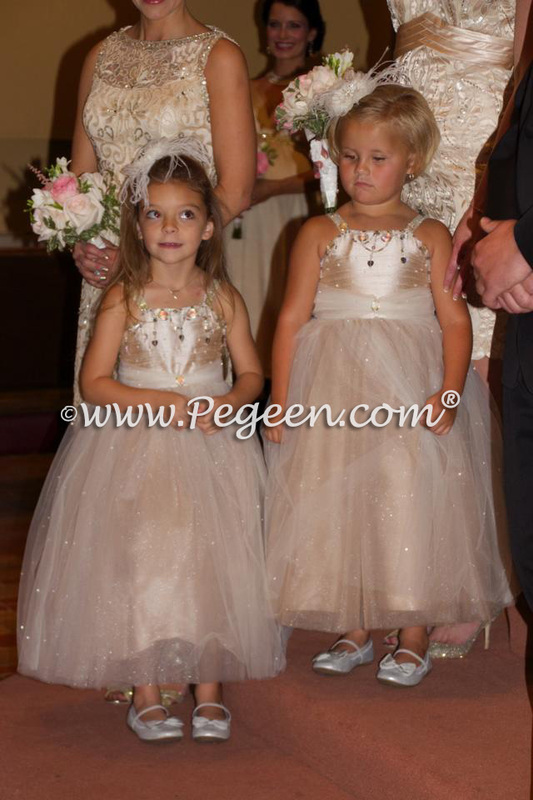 For more photos from the wedding, please visit our website or click to purchase.